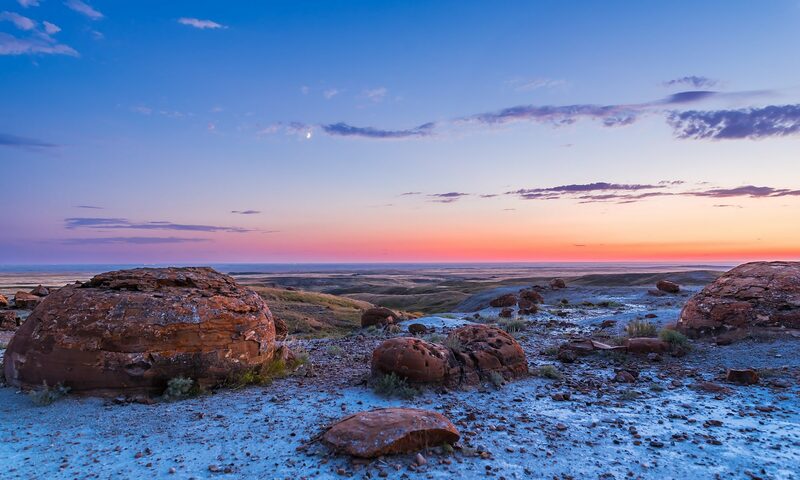 Yes, it’s cold out there, but a clear evening away from city lights this week – or this winter – will reward you with the sight of a rising star-filled sky. This is the winter sky of the northern hemisphere, rising above a snowy prairie landscape, in a shot I took Sunday night, January 6, 2013. The sky is populated by a ream of bright stars and constellations, anchored by Orion, just below centre. You can see his three Belt stars pointing down to Sirius, just peering above the horizon in the glow of a distant town. Orion’s Belt points up to Aldebaran, the V-shaped Hyades star cluster, and bright Jupiter (the brightest object in the scene, above centre), all in Taurus. Above Jupiter is the Pleiades star cluster. The Milky Way runs down the sky from Auriga to Canis Major. This week, January 6 to 13, is a good week to see the winter Milky Way, as it’s New Moon and the sky is dark. In this scene the camera was looking southeast about 9 p.m. Sirius has just risen. By midnight the Dog Star shines due south. 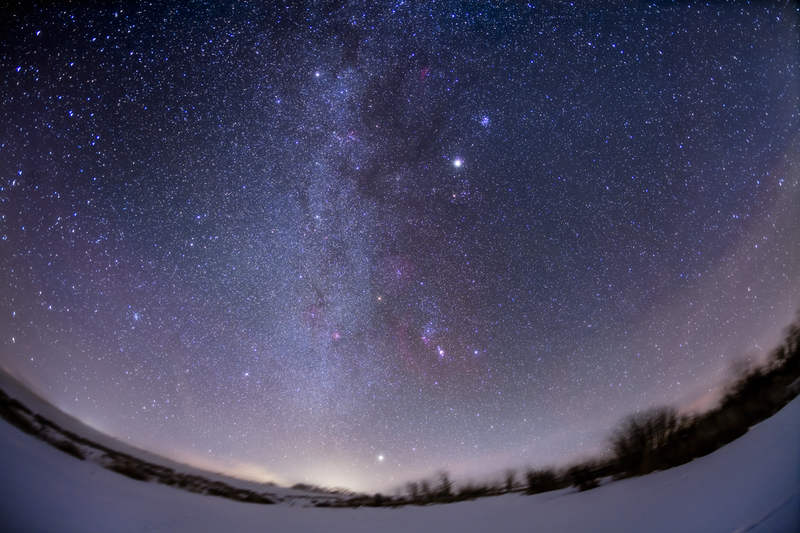 I used a 15mm wide-angle lens to take in the entire sweep of the winter sky from horizon to zenith. This is a stack of four 4-minute exposures, though the landscape is from just one of the frames, to minimize the blurring caused by the camera tracking the sky. Some clouds moving in add the streaks on either side of the frame. It was a wonderful sky, while it lasted! And I’m pleased to note that this is my 250th blog post since beginning AmazingSky.net two years ago in early 2011. I hope you have enjoyed the sky tours.